published by the American Montessori Society. 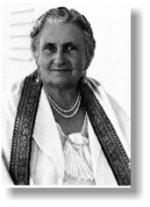 Dr. Maria Montessori (1870 to 1952), the creator of what is called “The Montessori Method of Education,” was an Italian doctor, philosopher, and educator. 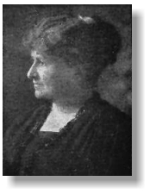 She held the distinction of being Italy’s first woman physician. In her research, Dr. Montessori noted specific characteristics associated with the child’s interests and abilities at each level of development. She posited that a school carefully designed to meet the needs and interests of the child’s would be effective if it were consistent with the basic principles of psychology. Rather than fight the laws of nature; Montessori suggests that we follow the “child,” allowing him to show us how best to foster the development of his human potential. The Montessori classroom is commonly referred to as a “prepared environment.” This term reflects the importance of creating a learning environment which reinforces a child natural curiosity, independence, and intellectual development. An important element of this prepared environment is the use of special Montessori materials. 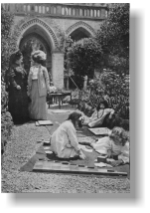 Based on her studies of the children’s learning, Dr. Montessori noted that most children do not learn from memorizing what they hear from their teachers or read in a book, but from concrete experience and direct interaction with their environment. Montessori materials are designed to facilitate concrete learning in every area of the curriculum. For a more detailed explanation of Montessori Education, contact Asheville Montessori School and ask for a copy of Montessori Education: Questions and Answers, published by the American Montessori Society.